This is probably our favourite classic car show in the UK. It is truly unique, so a massive congratulations go to our competition winner who will be receiving a pair of complimentary tickets to the 2017 Concours of Elegance. Possibly one of the best concours in the world. It’s a very cool classic car show. Anyone into their classic cars, art, historic buildings or supercars will be in their utopia. If like me you love all of these thing then it is a dream day out. So I really hope that you’ll enjoy your day as much as we will, and of course we’d love to hear all about it afterwards. We have no doubt that you had a great time at this wonderful event. Let us know all about it below, so those that do not attend can get your thoughts and highlights, so they don’t miss out next year. Watch this space for lots more free ticket competitions, next up will hopefully be the Classic Motor Show and Autosport International. If you do not want to miss out on our regular complimentary ticket competitions, then feel free to take a moment to subscribe to our regular newsletter or like us on Facebook or follow us on Twitter and be kept up to date with our posts. 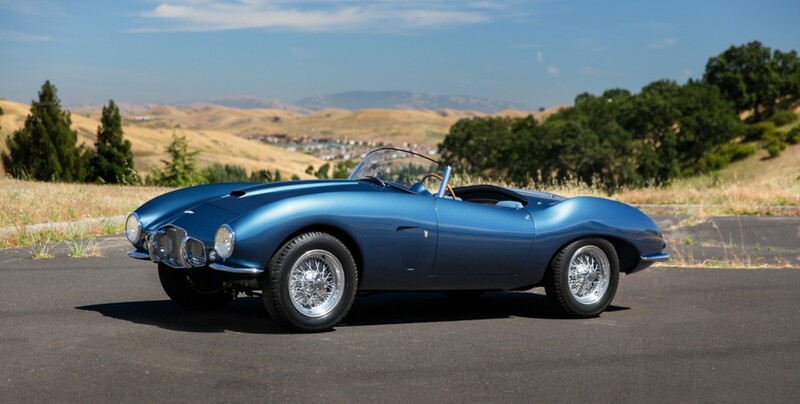 John stated that his most beautiful classic car he’s ever seen in person is the Aston Martin DB2/4 Arnolt Bertone Spider. Beautiful I hope you agree.